And we say: fair enough. Rolling Roadshow's Stunt Ranch Cinema returns with a very special 10th-anniversary outdoor screening of one of the most seminal superhero films ever made: Christopher Nolan's The Dark Knight. Experience the Gotham crime epic as never before as real explosions bloom around you, in time with the explosions in the movie. No hospitals will be blown up in the course of the screening, but enough explosives will be detonated that it might feel that way. Turn up early from 6:30 for a preshow hootenanny worthy of Wayne Manor itself. For the adrenaline junkies amongst you, test your inner Bat by leaping from high-fall platforms, ziplining over a lake of fire, throwing hatchets (pretend they're Batarangs? ), and more. And for more sedate thrills, there'll be live music, food trucks, bars, superhero-themed activities and cocktails, an explosive photo booth, and a DC character costume contest. Dress well enough, and you could win $500 - a small but important first step in attaining the fortune of a Wayne. 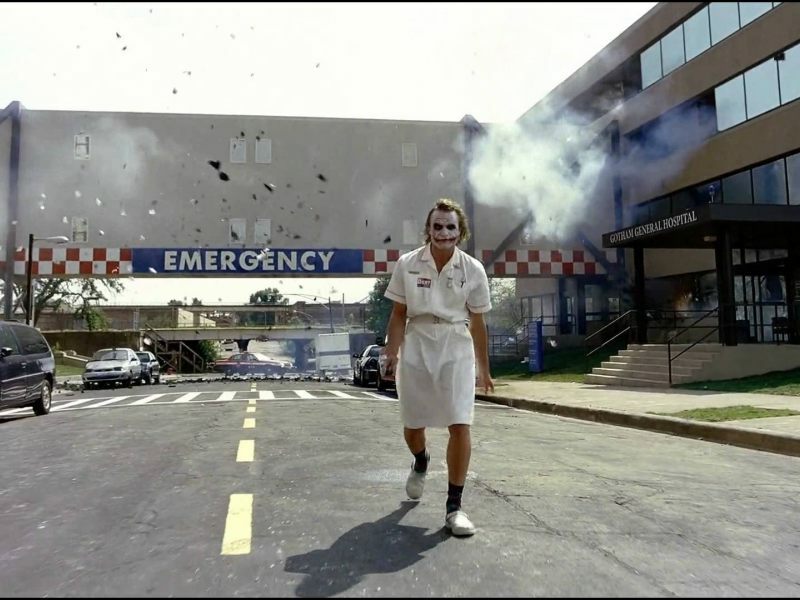 And really, this is all icing on the cake that is getting to watch a stone-cold classic on the big screen, experiencing Heath Ledger's Oscar-winning turn as the Joker with an audience once more. The night is always darkest just before the dawn - or, in this instance, just after dusk, when the movie begins. Stunt Ranch Cinema's The Dark Knight anniversary show is the screening we deserve and the one you can book for right now. So get your tickets, gear up, and join Rolling Roadshow to watch the world burn.